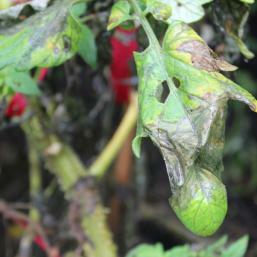 This highly infectious and serious problem for tomato and potato plants rapidly destroys foliage and fruit. 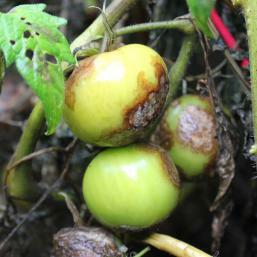 Fungal spores are carried through the air and are particularly prevalent during warm and humid weather – common towards the end of summer when tomatoes and potatoes are ripening. 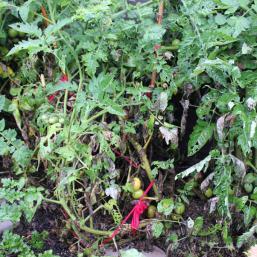 Plants at most risk are those with dense foliage and poor air circulation. 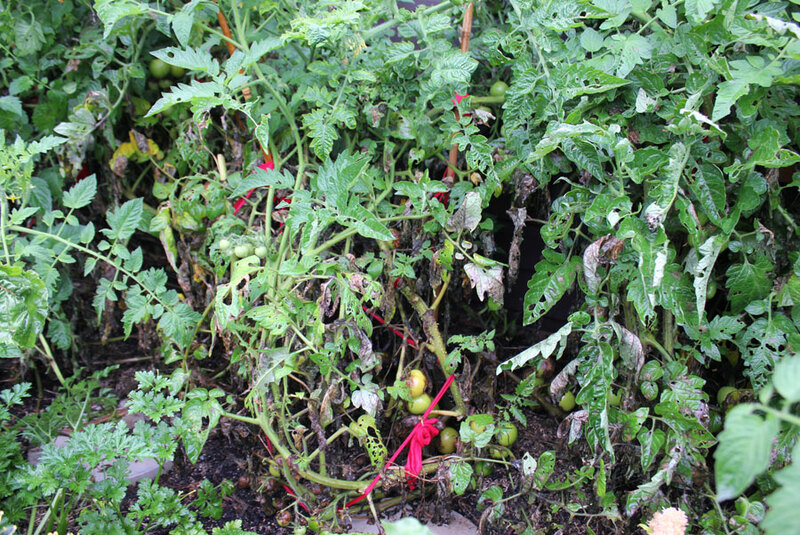 In the case of tomatoes the means those plants with foliage that has not been controlled by pinching out laterals during the time leading up to fruiting – this reduces air flow around plants and creates ideal conditions for blight to take hold. 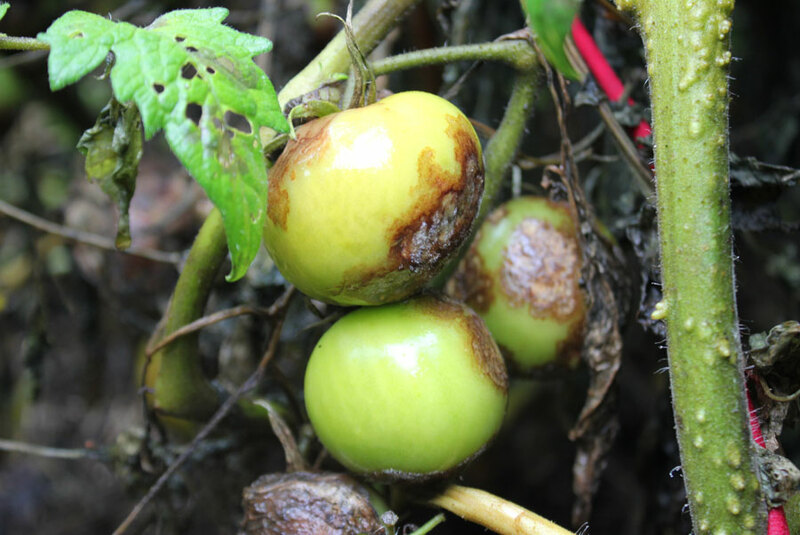 If you notice brown, freckle-like patches appearing on leaves with a whitish or yellow halo around them and dark brown patches on stems then your plants have blight. 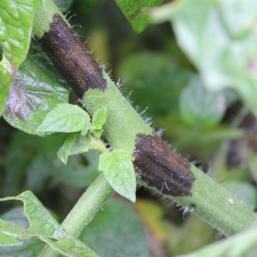 Soon enough, foliage with start to wilt and fruit develop discoloured, mouldy patches. 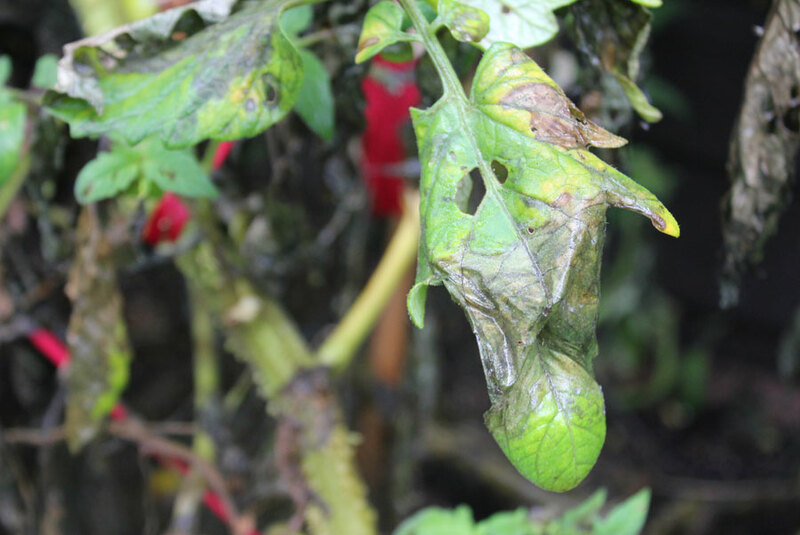 There is not much that can be done once an infection is spotted – apart from a swift harvest of unaffected produce, removal of whole plants and sanitary disposal of all foliage in household rubbish. 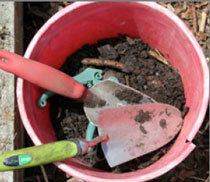 If you add infected foliage to your compost heap you will spread infectious spores through your compost. 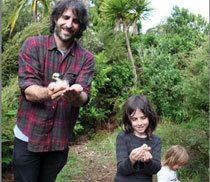 It may be that long-awaited bottles of home made tomato sauce have to be replaced by jars of green tomato chutney instead. 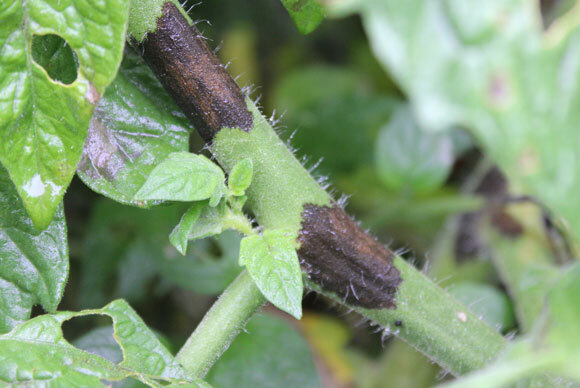 In the case of potatoes, if you spot blight soon enough, you can remove all foliage and then wait a week before digging up the potatoes themselves underground – they should still be edible. 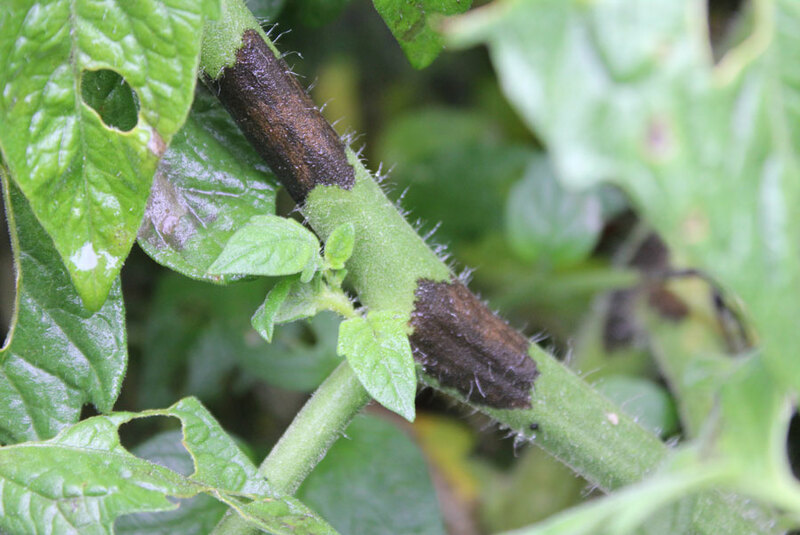 If you have had blight in any part of your garden avoid planting potatoes or tomatoes in the affected area for at least couple of years by which time any remaining spores should have died.